Find a theme that is not just beautiful but is also capable of displaying your images in the best way. Probably the hardest part will be to choose the one and only photography theme because there are so many great options available. We’ve gathered over 60+ of the very best themes to showcase your photography portfolio. Find the one that best suits your needs. So here’s a list of best photography WordPress themes for passionate photographers/artists to display their skills. 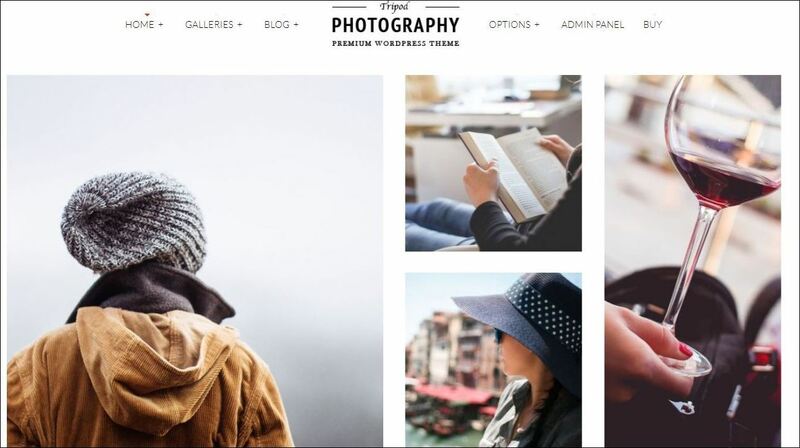 Now, let’s have a look at these best photography themes for WordPress. Photography is a responsive clean and minimal WordPress theme for Photography Creative Portfolio web site. It has predefined styling for photographer, creative designer, design agency which can be imported with one click. Responsive, fullscreen Photography theme for WordPress. Create unlimited galleries and sliders to showcase your work. Core is the Minimalist Photography, Portfolio, Personal website template with Custom Post Type, Image Uploader etc. Tripod is a responsive drag-and-drop layout builder WordPress theme for professional photographers, blogs or sites coming with complex image gallery options. Kinetika is a powerful fullscreen photography theme and includes built in events posts, photo proofing galleries and more. Also has the ability to display image slideshows and videos as page background with page opacity control per page. Powerful responsive WordPress theme, best suited for photographers and creatives who use portfolios to effectively present their work. Also includes a flexible AJAX gallery with awesome jQuery animations and effects, which comes with lots of options. Lens is a surprising premium WordPress theme aimed at photographers. Features fullscreen slideshows and galleries, grid based photo galleries and a journal to help photographers keep up with their visions and thoughts. Mora is packed with all of the features need to build a professional, modern website for your business. Perfect for creative professionals looking for a minimalist sleek design that helps showcase their best content. Minimal, Responsive theme made for Photographers, Creatives, Entrepreneurs, Small Business owners and Bloggers. Personalize it with your logo and background. Comes with a color option, so you can pick a color scheme that matches your brand. Whizz is excellent for portfolio, photography, creative, gallery sites. Various galleries will show the uniqueness of your work, also with a simple and convenient store. Create your own unique and beautiful site for photographer, blogger, photography agency or photo studio. SceneOne Photography theme is a feature rich theme for professional photographers. It includes proofing, events, stockphoto galleries, fullscreens, portfolios and varieties of elements for photographers. 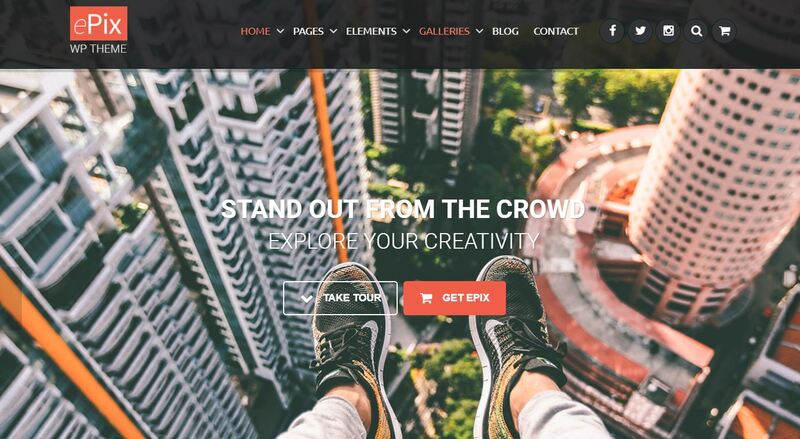 Eram is a cutting – edge WordPress theme for photographers. Also provides numerous layouts and options. Refrakt Photography theme is a high performance feature rich theme for professional photographers. It includes proofing, events, fullscreens, portfolios and galleries for photographers to create a unique website. Sewell is designed and developed of helping you to create a breathtaking and perfect user friendly photography website. Designed with multiple layout options perfect to promote your gallery in professional and pleasant way. Awesome photography WordPress theme to create your own unique and beautiful site of photographer, blogger, photography agency or photo studio. Unique WordPress photography theme that enables you to create a professional portfolio website and manage your blog. 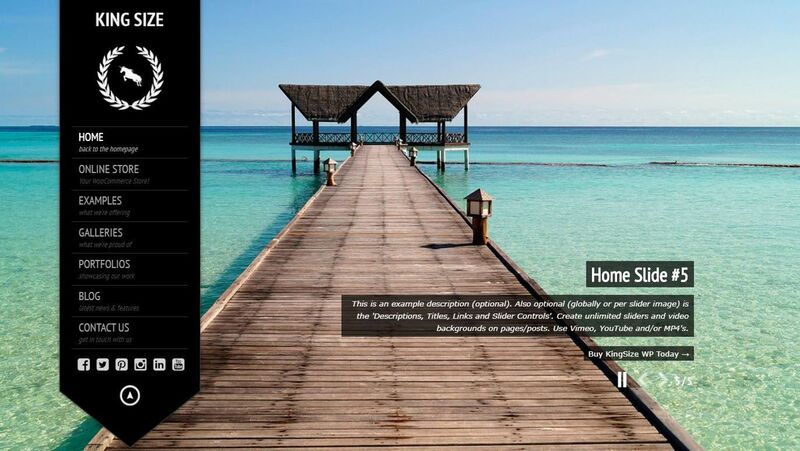 Also includes a wide variety of galleries such as Grid, Fullscreen and Ribbon to showcase your photos. Vega is a clean and minimalist WordPress theme for photography, creative, portfolio and any creative photography related web site. It has predefined styling for photography work, creative and designs which can be imported with one click. DK is the Premium Photography, Portfolio, Personal website template built with Custom Post Type, Unlimited Colors and Image Uploader. Border is a unique and easy-to-use Photography WordPress theme fully packed with slideshows and grid based galleries. Photo Me is a clean and minimal WordPress theme for Photo Photography Creative Portfolio web site. It has predefined styling for photographer, creative designer, design agency which can be imported with one click. Skylab is a premium portfolio / photography WordPress theme with an innovative, touch navigation super smooth hardware accelerated slider design. It’s equally adept at showcasing design or photography projects. Responsive fullscreen Photography Portfolio theme for WordPress. Packed with a ton of unique features including the Fullscreen slider, stunning galleries, client login, advanced live Skin Editor, and so much more. 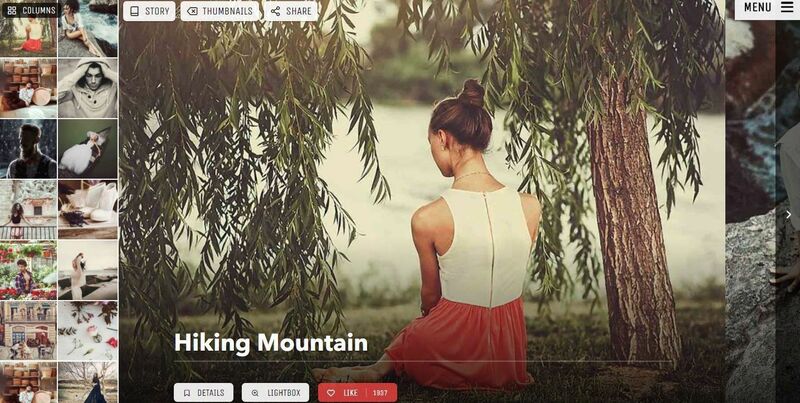 Fullscreen Photo and Video WordPress theme. It has advanced version of the built-in GT3 page builder, optimised system to speed up the website performance, easy content and color editing and more. Camilla is a modern, minimal, horizontal canvas to display your Photography work in. Features including one-page layout principles, horizontal scroll, distraction free fullscreen galleries. Portfolio theme for photographers and creatives. Bow is a clean and modern clean photography WordPress theme to promote your photo gallery in a very professional and pleasant way. Grand Photography is a responsive clean and minimal WordPress theme for Photography Creative Portfolio website. It has predefined styling and templates and many features built specially for photographer, creative designer, design agency. Timber is a photography WordPress theme that goes out to the edge to enable a fresh, adventurous experience. Includes Smart Galleries For Mixed Types of Content, Customize With Live Feedback, Shortcodes and more. Absolutely new and powerful Photography WordPress theme. Napoli is the most powerful photography themes on the market with multiple gallery and home page layouts, photo proofing and more. Responsive Wedding Photography Portfolio WordPress theme is designed for wedding photographers and professionals. Fullscreen Photography / Portfolio WordPress theme. A clean, modern photography portfolio design designed to look sleek and professional. 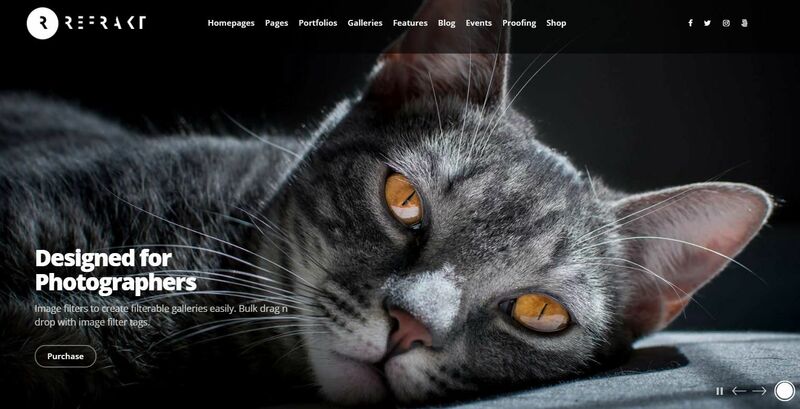 Foto is the perfect WordPress theme to bring your images and art to life. Modesto is minimal and creative WordPress theme suitable for agency, portfolio and photographers. The design is modern and unique also perfectly organized, so you can easily changes its content. 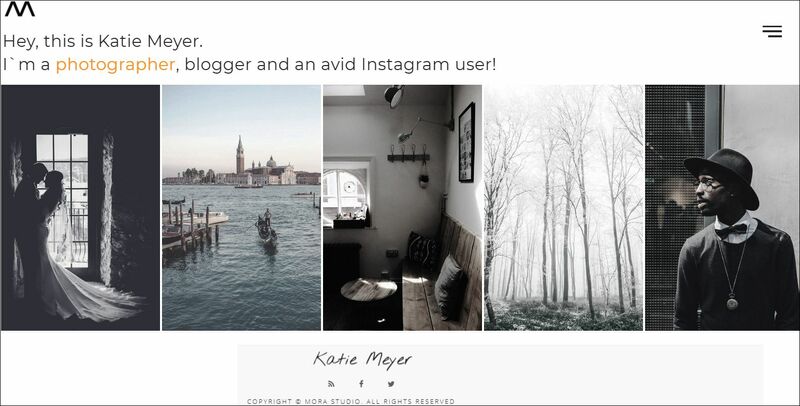 A fresh and fashionable Photography theme. 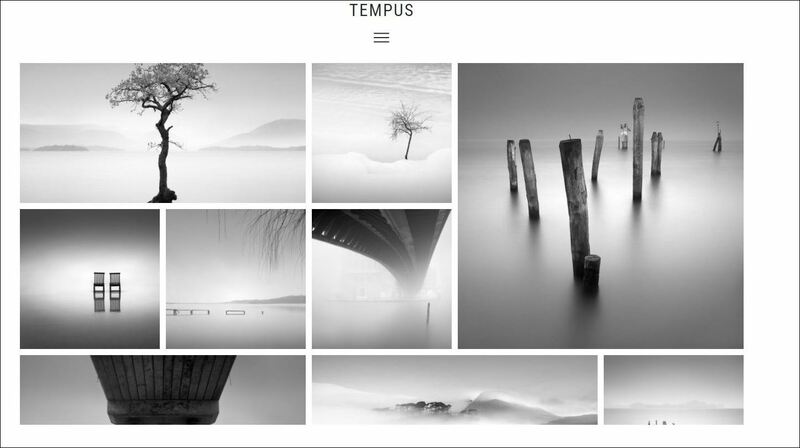 Tempus creative portfolio is theme that will showcase your Portfolio, Agency, Photography or Blogging and much more. Photobooth works great for creative professionals of any kind. Erwitt is a powerful and flexible portfolio WordPress theme for photographers and creative professionals. It is made to showcase any kind of creative work with style. Clean, Minimalist Design can be used for any portfolio, photography or business website. PhotoProof is the Responsive WordPress theme for Photographers and other Creatives. Offers plenty of excellent options that will satisfy even the most demanding users. Valeria is a Photography Portfolio WordPress theme. A modern and clean responsive photography WordPress theme made for photographers. A Contemporary and Clean Photography theme. Luminis is a minimal, responsive photography WordPress theme with a clean and professional look. Professional WordPress gallery theme carefully designed to help you create beautiful photography sites very easily. Featuring a large number of different gallery styles and options that every photographer needs. A fully responsive Photographer Portfolio WordPress theme that will be a great representation of your photographer talent. It has fast, well organized interface that can be customized to your taste. Photographers can create beautiful galleries to show their best work simply, with no coding required at your end. Falero WordPress theme, for professional and novice wedding photographers. The template has all the necessary pages, information about the photographer, how to contact, a blog, a gallery. Creative Photo WordPress theme. With modern design and responsive framework in combination with maximum flexibility allows to customize this theme. Also included a great variety of viewing options. We hope this article helps you find a best photography WordPress theme for 2018. Choose the one that your skill deserves and create a personal photography website effortlessly.